San Juan, La Union is fast becoming a popular destination in the north. For those people who want to try surfing, then San Juan is worth checking out. In fact, San Juan is considered to be the "Surfing Capital of the Northern Philippines" and is known for its consistent intermediate quality surf and two surfing seasons - from July to October and November to March. Tourism is booming and the future is bright for San Juan, La Union. Many establishments are built giving the locals more job opportunities. As a matter of fact, restaurants, hotels, shops, local stores, and resorts are seen everywhere in San Juan. Speaking of establishments, there is a new property in San Juan that is soon to open for the public. Dusit International partners with RCL Realty & Consulting Services and Brightbeam Corporation to turn a dream paradise into reality – the luxurious Waves Beach Club and Residences (WAVES) and dusitD2 Waves Hotel. La Union has the 5th longest coastline in the world and surfing is consistent throughout the year. In 2017, San Juan received an average of 5,000 to 7,000 tourists during the Surfing Season. During Holy Week 2018, San Juan and San Fernando recevied an average of 3,000 to 5,000 visitors per day. 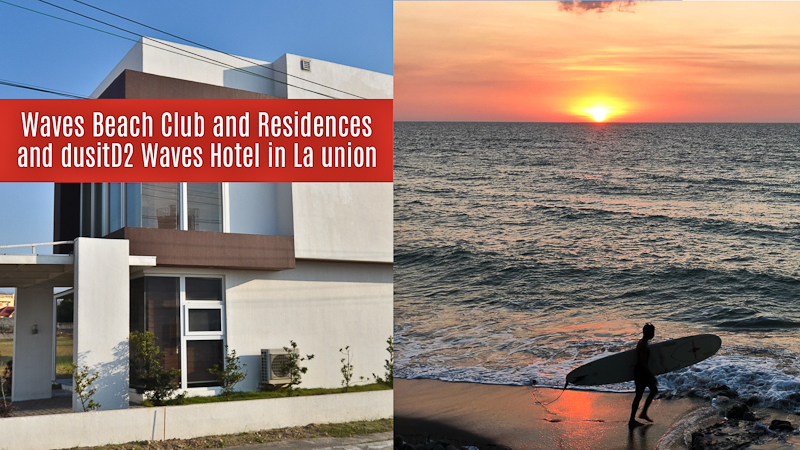 But La Union generally lacks thousands of rooms for the influx of visiting tourists. The town of San Juan only has 37 hotels with about 16 to 20 rooms each. Kahuna Resort has the most number of rooms at 40. The construction of dusitD2 Waves Hotel is such a welcoming news for the tourism industry in La Union. It will not just add more rooms to stay, but will also generate more jobs for the locals. The upcoming seven-hectare luxury residential resort complex is set to change the lifestyle and leisure landscape in San Juan. Opening by the first quarter of 2019, Waves is being developed as a premium Malibu-inspired resort complete with a lifestyle, commercial, and residential hub tucked at the surfing capital of Northern Luzon. While dusitD2 Waves Hotel, will be comprised of 115 rooms and 50 villas. Facilities will include a club house with an all-day-dining theme restaurant, an over-sized swimming pool, a fully equipped fitness studio, and ample parking. Aside from dusitD2 Waves Hotel, WAVES will also feature condominium towers, beachfront apartments, and 100 villas. All of these will have a direct access to the property’s private beach. Their goal is to give the people the best high-end and most secure residential resort community in Northern Luzon. We all know that San Juan is a perfect spot for a vacation, but would you dare to settle down and live there? Here are some reasons why you should consider. Grow your family away from the chaos of Metro Manila. Truth to be told, Manila is not safe anymore and we are all aware of that. 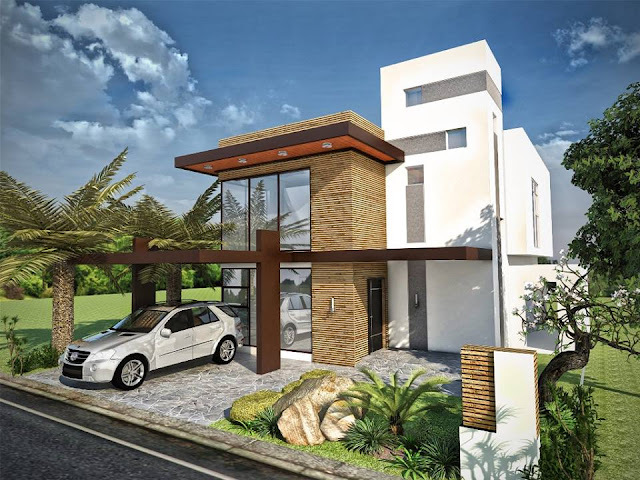 In WAVES, rest assured that the property is well-maintained and is managed by credible and experienced property developers. The pristine private beach resort is a paradise for everyone who likes to connect with nature and loves the ocean. Imagine walking on a Malibu-inspired resort on your way home. Relaxing isn't it? This is the real deal, to be honest. Manila is overpopulated and the pollution is getting worst. But in WAVES, you'll get to experience fresh air every day and a clean environment all the time. As I mentioned earlier, the facilities include a club house with an all-day-dining theme restaurant, an oversized swimming pool, a fully equipped fitness studio, and ample parking. You'll get to enjoy all of these if you choose to live in WAVES. With its strategic location just a few minutes away from the main road and highway, WAVES is highly accessible to hospitals schools, banks, stores, restaurants, and other places of interest in La Union. Convinced? Who knows, you might be one of the owners at WAVES Beach Club and Residences. Let's all wait for 2019 and for sure, WAVES and dusitD2 Waves Hotel are going to be incredible!